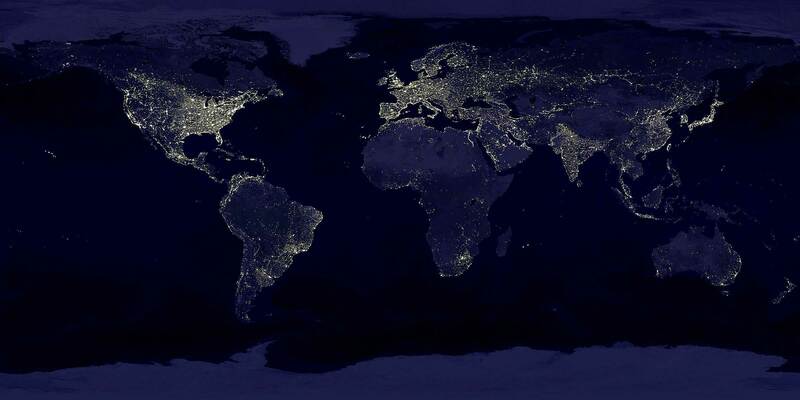 The image is a panoramic view of the world from the new space station. It is an absolutely awesome picture of the Earth taken from the Boeing built Space Station last November on a perfect night with no obscuring atmospheric conditions. 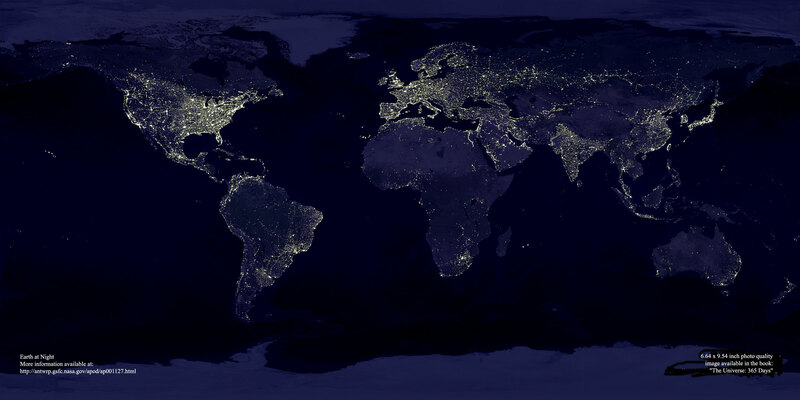 It is a night photo with the lights clearly indicating the populated areas. You can scroll East-West and North-South. Note that Canada's population is almost exclusively along the U.S. border. Moving east to Europe, there is a high population concentration along the Mediterranean Coast. It's easy to spot London, Paris, Stockholm and Vienna. Note the Nile River and the rest of Africa. After the Nile, the lights don't come on again until Johannesburg. Look at the Australian Outback and the Trans-Siberian Rail Route. Moving east, the most striking observation is the difference between North and South Korea. Note the density of Japan.